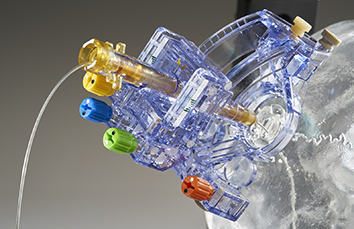 In January 2011, we received 510(k) clearance from the FDA for our SmartFlow neuro ventricular cannula. Our SmartFlow cannula, which is compatible with our ClearPoint system, is an MRI-compatible injection and aspiration cannula. It is indicated for use in the injection of Cytarabine, which is a chemotherapy drug, or the removal of cerebrospinal fluid from the ventricles of the brain during an intracranial procedure. The SmartFlow cannula is a disposable device intended for single patient use only and is not intended for implant.